A cold case is reopened, placing a witness in the crosshairs–and a bodyguard by her side… Charlie Winters has caught security expert Mike Strong's attention. A member of his self-defense class, she seems to need to know more than just how to protect herself. 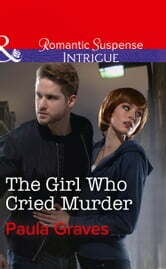 After a little digging, Mike discovers that the cute redhead has a reason to worry–she may have witnessed a murder. Using all of his connections, Mike tries to solve the cold case. But as Charlie's memories from the past begin to resurface, her future seems marked for death. Offering up his skills as a bodyguard, Mike promises not to leave her side. And Charlie's obvious relief at not having to fight alone convinces him there's much more to this mystery he has yet to uncover.